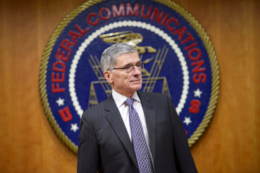 On February 4, 2015, Tom Wheeler, Chairman of the Federal Communication Commission (FCC) announced, through a Wired op-ed piece, his plan to circulate a new proposal that would allow the FCC to use its authority under Title II of the Communications Act to protect consumer broadband internet and provide stronger “open Internet” protections. The proposal will be subject to a vote by the full commission on February 26, 2015. The proposal is considered a big win for net neutrality advocates because it could allow the FCC to stop Internet service providers from charging content providers more money for reliable Internet access. The proposal comes as a direct response to President Obama’s speech in November 2014 where he asked the FCC to reclassify the Internet as a public utility and suggested a four point plan for ensuring net neutrality. But the Order has not been able to completely guarantee net neutrality. On January 14, 2014, the Court of Appeals for the District of Columbia vacated some of the Open Internet Order in Verizon v. Federal Communications Commission. The court held that section 706 of the Telecommunications Act of 1996 vests the FCC with “affirmative authority to enact measures encouraging the deployment of broadband infrastructure” and that the Commission “has reasonably interpreted section 706 to empower it to promulgate rules governing broadband providers’ treatment of Internet traffic.” But the court also held that the Order could only be applied to common carriers and not to broadband providers. Chairman Wheeler’s announcement comes as a major blow to telecom and cable companies, as well as Republicans who were in the process of proposing net neutrality legislation that would undercut the FCC’s ability to reclassify broadband internet under Title II of the Telecommunications Act. While critics reel, proponents such as Netflix’s CEO Reed Hastings (who was openly critical of his disagreement with Comcast’s approach to net neutrality and caps) and consumers (who experience differing Internet speeds based on price and service carriers) will celebrate this announcement as signaling a change in the way we may experience the Internet in the future.